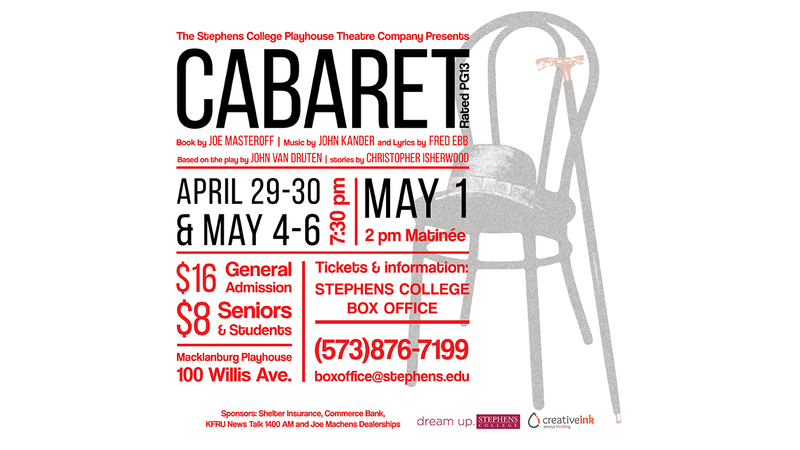 In addition to co-developing the brand identity for Exsor, I simultaneously developed the advertising materials for the Stephens College Playhouse Theatre Company’s production of Cabaret. 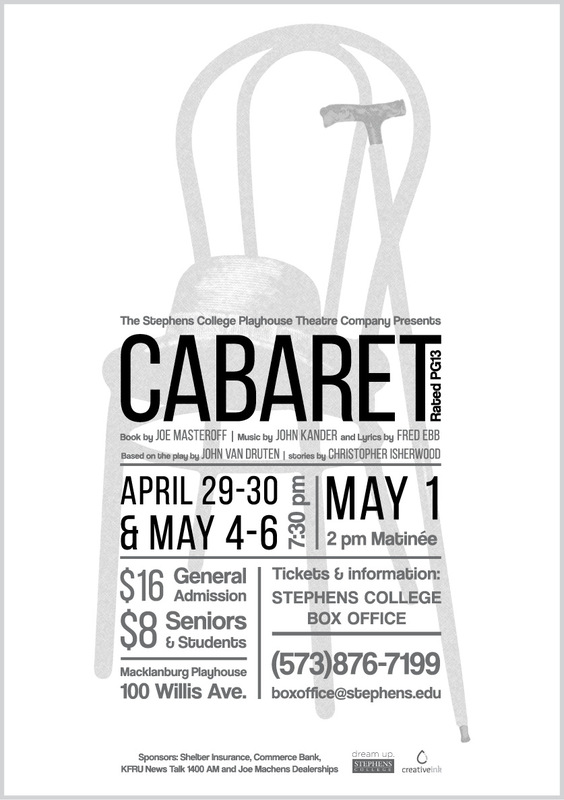 These materials included a poster, newspaper ad, and digital signage to be spread throughout Stephens College and the Columbia, MO area. Worked with the clients to develop an image for the materials that fit the production’s personality and style. After completing this process, I had four design concepts I presented to my clients. 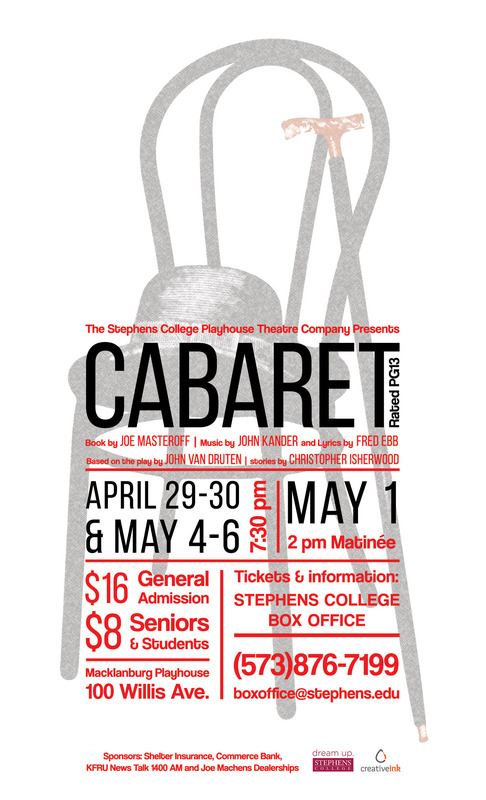 The final poster uses design principles originating in the Dada movement popular in Berlin between 1910 and the early 1930s, around the same time the production is based. From there, I designed the newspaper ad and digital marketing materials to fit with the poster design. Creative Ink is the student-run integrated marketing and communications firm at Stephens College. Members of Creative Ink design everything from advertising campaigns and branding materials to strategic marketing plans for clients across Missouri. If you’re interested in learning more, you can read about Creative Ink here.